With a virtual number there’s nothing to install. You’ll be up and running in an instant, hassle-free. 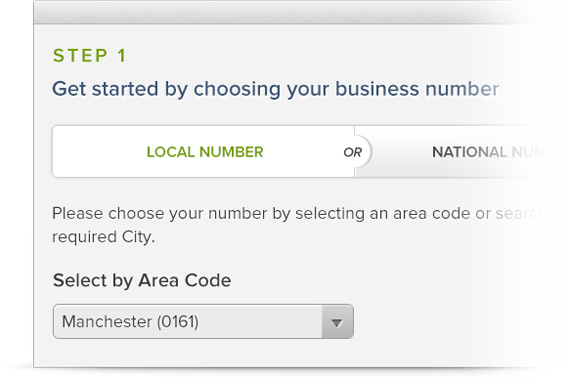 Pick a local business number from a choice of thousands in any UK area code. Perfect if your business serves your local community. "Virtual" means that everything lives completely in the cloud. There are no wires, cables or hardware to install and you can take your business number wherever you go. If your business covers a wide geography, get a national presence by choosing a national number. Your callers pay the same rate as if they called a standard UK local or national number. You won’t pay an extra penny for calls being forwarded to mobiles. Every call gets answered. You control what happens next. 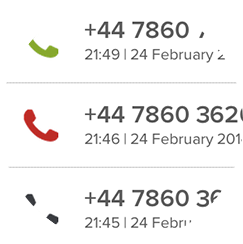 Forward calls to any UK mobile or landline number on any network. 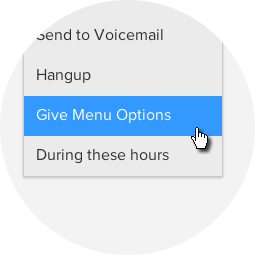 If you can’t get to the phone, you can direct callers to voicemail. Your messages are emailed to you and are also safely stored in your account online. You decide what your customers hear and what happens to your incoming calls. With super-fast controls, any changes you make are instantly applied. 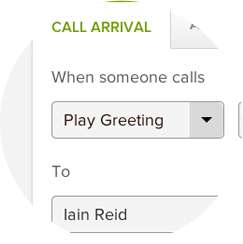 Just type in what you want your callers to hear when they call your business and our friendly voice engine will do the rest! 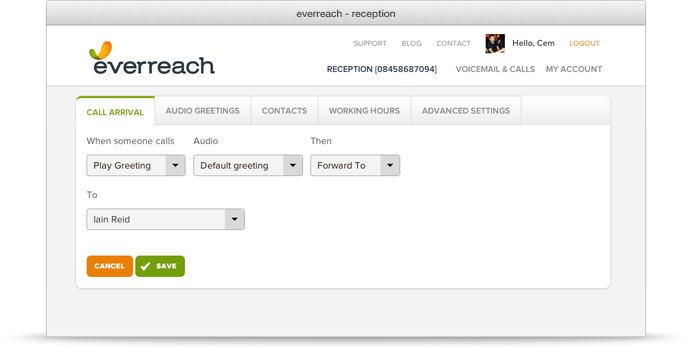 Greet customers with a friendly welcome, present some menu options, record voicemail prompts, provide service information and much more. 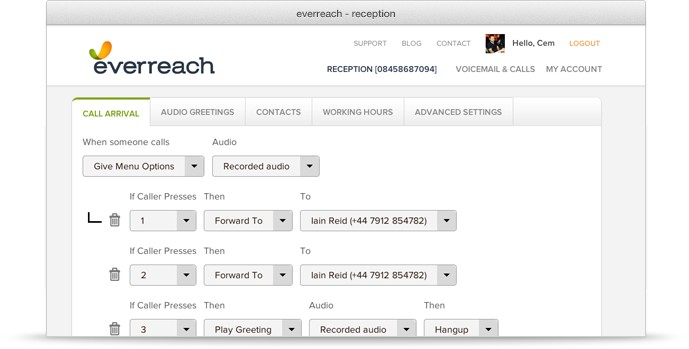 For a more personal touch, you can record all of your own audio greetings over the phone. Direct the calls to the right team members, or to the information they need. Impress your customers whilst reassuring them they are being connected to the right person. Give a consistent message to lots of callers by navigating them to the information that they need. 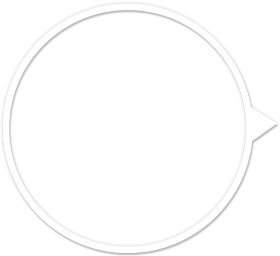 Knowing your customer’s intention up front and directing them to the right contact saves you and them time. See how you are performing and how your customers respond. 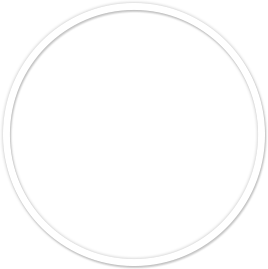 Every call you receive is logged so you’ll have a complete record of your business’ daily call patterns and know when you’re at your busiest. We give you detailed call information so you can what happened to each call and know whether you are managing your calls effectively. 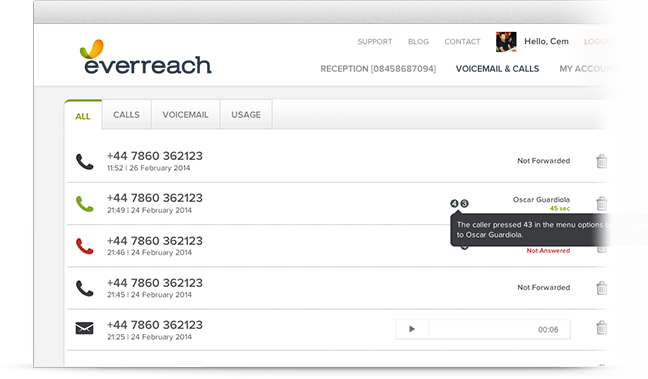 Any voicemail message you receive will be stored safely and can be listened to any time.